20170913 San Diego Union Tribune, Like a Whole Food store for your dog? Pet food goes upscale. 20170904 Orange County Register, Can Dogs benefit from ‘home-cooked’ meals? We have quite a few images of the goings on at JFFD. We have built an image library of 1200×1600 pixel images for your use. If you would like to obtain higher resolution images, please contact info@justfoodfordogs.com and we will be happy to provide those for you. 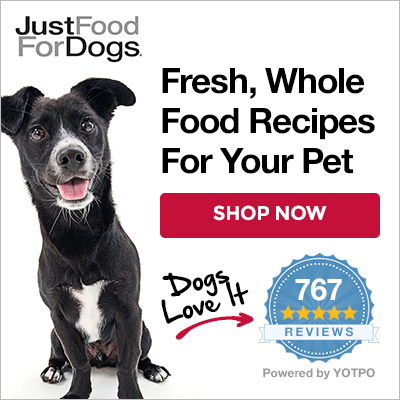 Please visit the JustFoodForDogs Youtube channel for all of our video content. If you would like to obtain a broadcast quality version of any of those videos, please contact us and we will be happy to provide those for you. JFFD can be found on a number of social media sites. For a list of all the ways to connect to us please visit our JustConnect page. Like every company, we have our story. We have built a fun and interesting presentation that gives you the entire history of our company in an easy to read (and downloadable) storybook format on our About Us page. My 11 yr old 6lb. 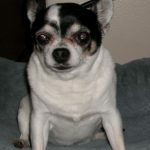 Chi was first diagnosed with Kidney Failure and then Congestive Heart Failure. She has always been a very picky eater. When she had to go on a special diet for the kidney failure then I really had a time. She would eat but only because she had to and that made hiding her pills in it sort of hard. She absolutely loves your blend for renal support it has all of her favorite foods in it! It is so easy for me to weigh out 2oz in air tight containers. I watch Mo Roca(?) when I am caring for my father and I saw a clip about you. I am so glad that I decided to look you up on the internet. Customer service gave me a call with the first order and made sure that my vet approved the renal diet. I had already dropped off a copy of the ingredients to her so every thing went smoothly. Thanks for caring about animals the way you do. They are loved ones too.